Recently one of my website got hacked and there skeletons dancing on it when you visit that website. Luckily it wasn’t my primary website. In fact, a online forum which I haven’t focused for long time so damage was limited. I contacted knowhost (myhost) support and they restored it from backup. This forum was based on vbulletin and vbulletin had a flaw and so I deleted their install directory and everything was fine. But it hit me well and I was forced to think what if akhilendra.com is hacked? It is a wordpress based site and wordpress has got limited capabilities as far as fighting hackers is concerned. WordPress security is a concern for most of the wordpress users. There is nothing like wordpress is too vulnerable to hacks but yes, it is not immune either. There are certain steps which you must take to enhance wordpress security and protect it from hackers. At the same time, you should also make arrangements to restore it in case wordpress security is compromised and it is hacked. 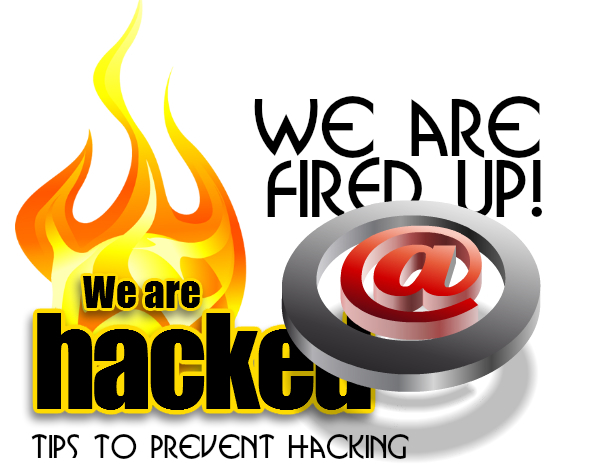 Here we will look at the steps to protect wordpress from hackers and make arrangement in case it is hacked. You should use wordpress security best practices to ensure that it is not compromised. Create a new admin user and remove admin user with user id “admin”. Have tough admin password with a combination of different characters and numbers. Always update plugins and remove unused plugins & themes from your wordpress installation. You should install captcha and anti-spam plugin like commentluv to protect spam through comments. You should install wordpress plugins from reliable sources only. Login LockDown wordpress security blogs – it blocks login addresses after a certain number of failed attempts from same id. Better WP Security Plugin – just like other security plugin mentioned above, Better WP Security is also one of the best security plugin which is free and quite handy in protecting your wordpress site from hackers and hacking. So these are some of the most useful wordpress security plugins. Now we can look at some other activities which can influence security of your wordpress site. Yes, that’s right web hosting is the first thing which influence the security of your website. You need to choose reliable web hosting. When it comes to economical web hosts, hostgator, inmotion, godaddy and knowhost are good web host which provide optimum security to your web site. If you can afford then managed wordress hosting is best for security, WPEngine is probably the most secure wordpress hosting. They also offer regular backsup and many additional security features to enhance the security of your site. To know more about wpengine, click here. CDN and allied services are very useful in protecting your wordpress site from hackers. Cloudflare and MaxCDN are very useful in doing so. They are also useful in improving your SEO by improving page speed of your site. To know more about wordpress CDN, click here. Cloudflare is a free service and is very good in providing security to your website. It can be easily integrated with wordpress and it also inform you about the threats to your site. It will ask for a captcha if there is a suscipicous activity on your blog. As mentioned earlier, precautions are better than cure but what if the security of your wordpress site is breached and it is hacked. You need to contact your web host and ask them to restore your site using latest backup. You should use appropriate backup plugins to ensure proper backups at place. There are many wordpress plugins for backups and these plugins will take the backup of database and entire file system which can help you bigtime in restoring your blog. Sucuri – it is the best security and protection service for any website including wordpress, html websites, joomla, drupal, vbulletin and any other content management system you can think of. Sucuri is a complete website solution to secure, protect and does everything which is required for security of any website. To know more about Sucuri, Click Here. With the usage of above mentioned tips, techniques, plugins and services, you can significantly improve wordpress security of your site. Security requires constant efforts and being on the top of everything. You need to constantly update wordpress, themes & plugins. Also, remove spam comments and unused plugins & themes. As mentioned earlier, web hosting is a critical part of wordpress security. Therefore make sure that you are sticking to the most established name in the hosting industry. Any site could be hacked but you should try to take all precautions. Please leave your comments and queries, if any. Also please share if you think it may help others. Is there any app available to protect wordpress login security ? You can use commentluv premium plugin to control spam on your blog. I use commentluv premium to handle commenting on my blogs. I receive zero spam because commentluv come with a features GASP which is extremely good to control spam.Let me know if you need more information about it.